Sundae with three colourful balls of ice cream with wafer and cocktail umbrella served in glass bowl. 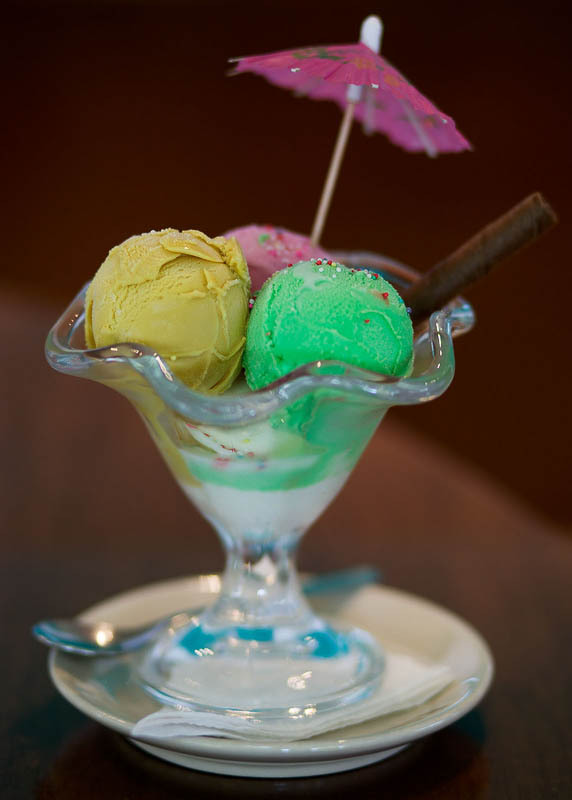 Cold summer dessert with green, yellow and pink ice cream balls. Tasty delight food.